MSI Facts | Metal Surfaces Inc.
Metal Surfaces, Inc. (MSI) was established in 1955 with the merger of two small startup companies. Francis Odell, a chemical engineer from Cal Tech, and Willard R. Bell, who studied aeronautical engineering at Stanford, joined forces. It was just in time to participate in America’s race to space, and ultimately, the moon. The shuttle program and the International Space Station projects followed soon after. New processes and technologies had to be developed for materials to operate efficiently in the rigors of launch, space, and reentry. MSI proudly participated in many of these programs. MSI’s engineers helped develop and test new electroplating processes to perform in these extraordinary conditions. MSI has been privileged to work with Rocketdyne, Pratt & Whitney, Aero Jet, NASA, UTA, JPL, Cal Tech, and Virgin Gallactic in their quests for the best rocket delivery systems, public and private. Through the decades, MSI was instrumental in the earliest and first instant replay in American sports. We plated the early analog disks used for video storage for Ampex. It was a disk almost two feet across and had a 30 second memory storage capacity with freeze frame capability. American football was improved forever! MSI has a large aerospace fastener following. Today, we are deeply invested in servicing the automotive industry for auto electronics. Today and tomorrow’s challenges are of vital concern as MSI leads the way in helping our customers develop lighter, less costly, environmentally sound products. As we succeed in applying effective processes to replace cadmium and lead plating on increasingly exotic composites, we help our customers solve tomorrow’s challenges. Black zinc nickel, black electroless nickel, plating on plastics, black chromes, and chem films are all tools for the future of the aerospace, military, and automotive industries. We have worked on prototypes for all of these industries. Our precious metals department has grown rapidly in the last few years and is ready to offer you solutions. MSI has a resourceful and highly experienced process engineering staff familiar with U.S. and international requirements to help you solve your customer’s problems. MSI has a proud record of environmental responsibility. In 1970, when the EPA was created, Francis Odell served as a board member of the National Association of Metal Finishers to assist the EPA with formulation of regulatory policies that would help metal finishers clean up their operations and keep their environmental impact as low as possible (yet with realistic expectations). Willard Bell spearheaded construction of one of the first private waste water treatment plants for treating and recycling water. MSI has been cited for environmental excellence by the EPA. One of our principals is a member of the Los Angeles County Sanitation District’s Industrial Advisory Council. Many thriving Southern California electroplating entrepreneurs learned their craft at MSI. We strive to be excellent at meeting the expectations of our customers. We exist because we can efficiently apply our expertise to our customer’s products. We strive to make a reasonable profit in order for our business to continue to grow. We will meet or exceed all environmental requirements. Courtesy to our customers and to each other. Honesty in all of our business dealings. Leadership in the metal finishing industry. Pride in our people, our work, and our company. 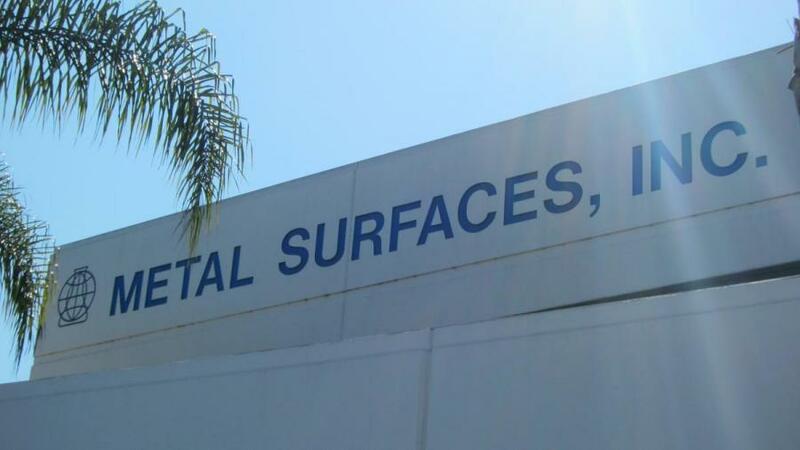 Responsibility to our customers and to Metal Surfaces, Inc.
We are committed to continuing our place of business in Bell Gardens, CA. To assure growth through sound management, efficient operations, and total commitment to our customers in order to increase our share of the market and enhance the image of our industry.